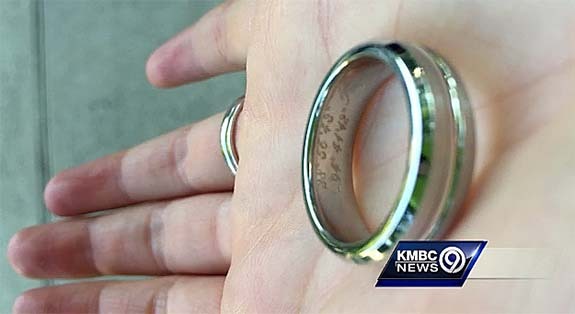 A wedding band found on the beach in Maui made its way back to a grateful couple in Kansas — more than 3,800 miles away — thanks to a set of GPS coordinates inscribed inside the band. 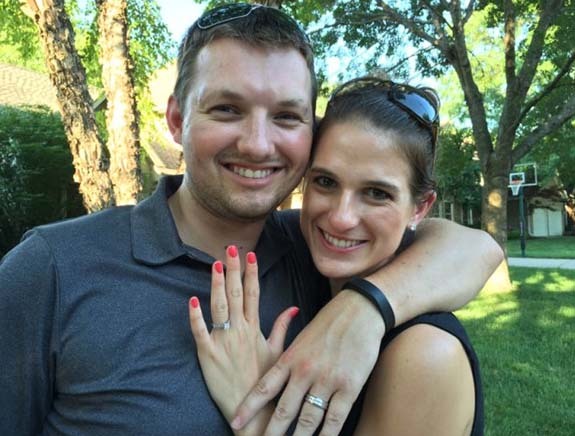 About a month ago, Brandon and Megan Schumacher of Overland Park, Kan., were enjoying their honeymoon on the Hawaiian island of Maui when Brandon took off his wedding band to keep it from getting caked with sunscreen and sand. He dropped it in the nosepiece of his goggles for safekeeping, but then forgot about it. He had taken the goggles into the surf to rinse out the sand, so the missing ring could have been in the water or on the beach. 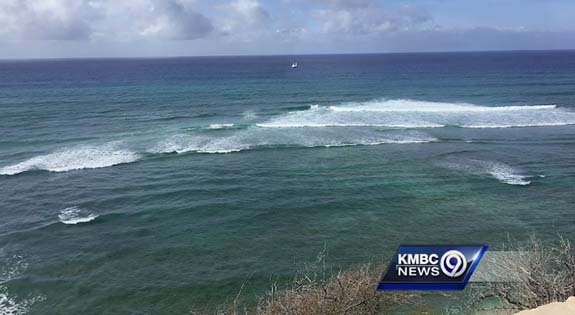 Before they left the island to return home to Kansas, the couple filed a police report and alerted local pawn shops of their loss. 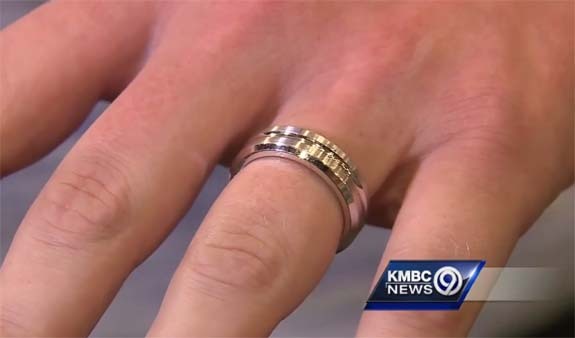 About a week later, the couple agreed that the ring was likely gone forever, so they ordered a replacement. Meanwhile, back in Maui, Oregonian vacationers Dean and Young Barnes, were taking a romantic stroll in ankle-deep water when Young saw something unusual in the sand. It was 9:30 at night and the visibility was poor, but the object caught Young's attention and forced her to stop to take a closer look. It was a man's wedding band. Dean and Young noticed a series of numbers inscribed in the band, but didn't understand what they could mean. Later, they showed the inscription to their son-in-law and daughter, and the young couple immediately recognized the numbers as GPS coordinates. 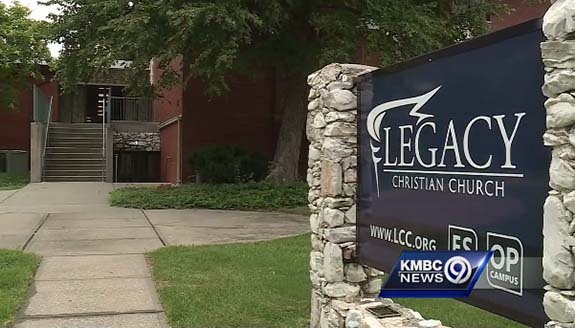 When they typed the numbers into GoogleMaps, the resulting pin landed right on the Legacy Christian Church in Overland Park, where the Schumachers were wed only weeks before. The Barnes family contacted representatives of the Legacy Christian Church, who emailed the Schumachers with the improbable news. The Schumachers offered a reward but the Barneses refused. 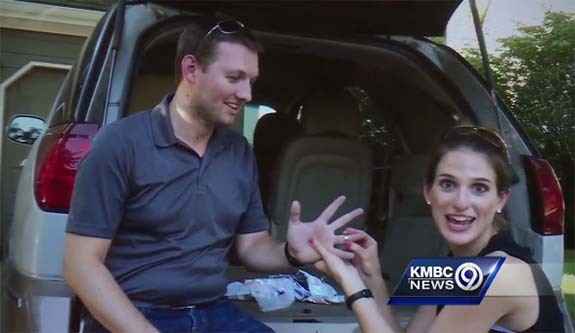 A reporter from local ABC affiliate KMBC 9 News was on hand when the UPS truck arrived with Brandon's ring. In a heartwarming moment, the newlyweds reenacted their ring ceremony and Megan made Brandon promise to never take the ring off again. In a letter that accompanied the returned jewelry, Dean Barnes explained why a reward was unnecessary. Credits: Images courtesy of Megan Schumacher; screen captures via kmbc.com.